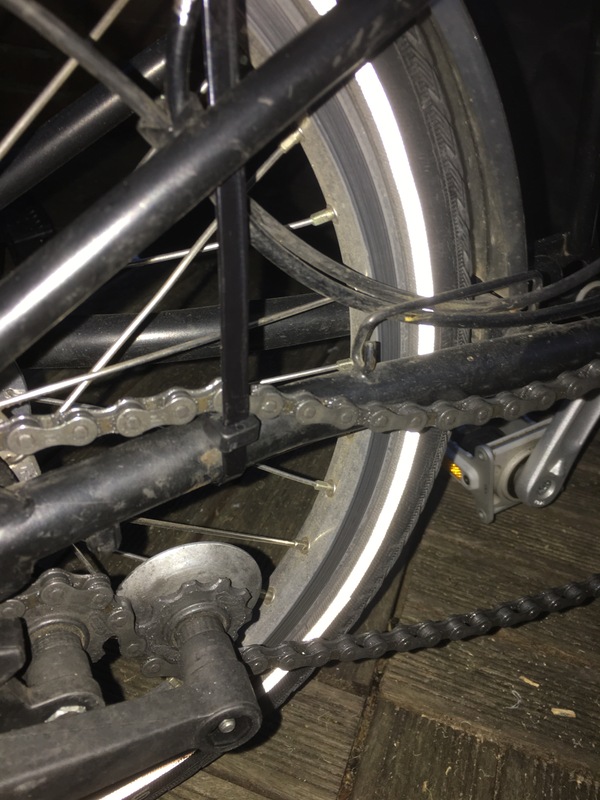 Ralph-e (my Alfine 11-speed Brompton – with a GrinTech electric conversion) has had a frustrating “chain drop” issue throughout the 5 years we’ve been together. 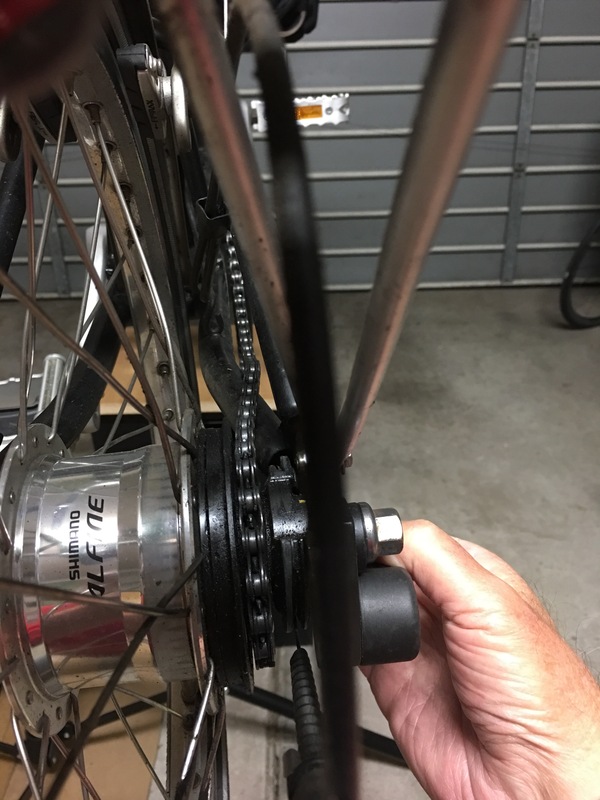 With “Murphy’s Law” timing, infrequently the chain can be dislodged from the rear cog & chain tensioner sprockets. I’ve developed a second-sense feel for a successful unparking step, although I admit to including a quick look down at the chain at the rear hub before attempting to ride away. 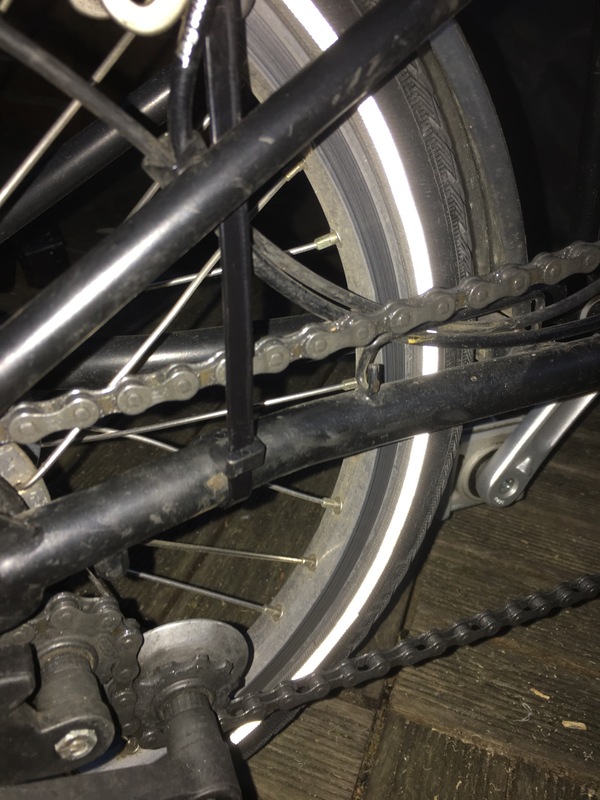 The following 3 pics illustrate the scenario: (1) taut chain over the rear cog, (2) slight reduction of tension in the chain (where the chain is sagging & starting to slide down & out over the widened rear frame), (3) further reduction of tension (resulting in further chain sag over the frame & commencement of the chain moving off the teeth of the cog). At this point, if the rear wheel rotates backwards then the chain will fall off the cog & then off the tensioner sprockets. The reduction in chain tension usually comes about when parking/unparking & as long as back-pedaling is minimised then chain drop can be avoided. 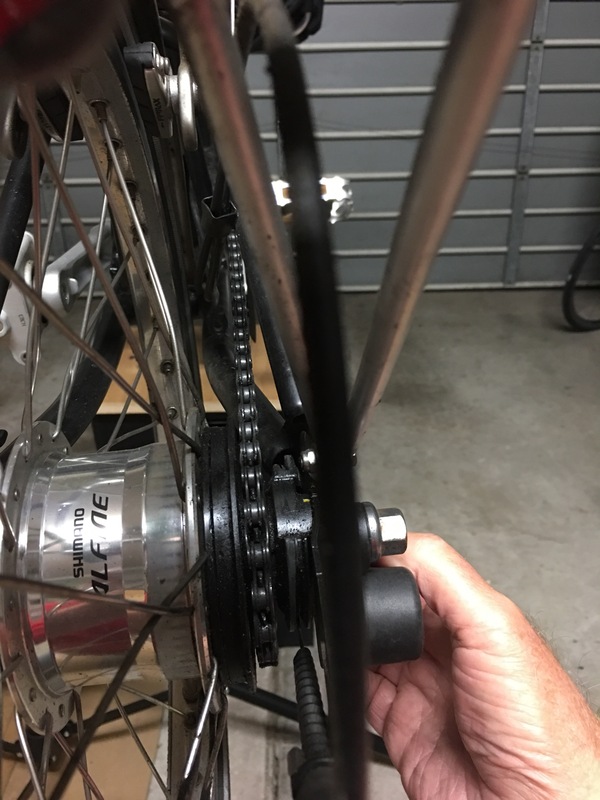 I believe the Alfine hub also has some slight drag when rotating backwards & so vigorous back-pedaling while riding can also achieve increased chain slack & sag over the rear frame tube; hey presto, chain drop?! 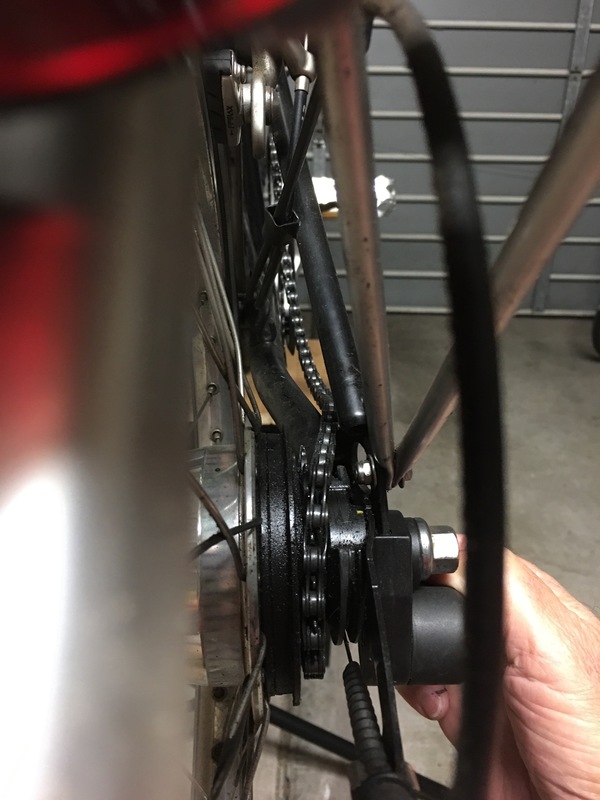 Now I think I may have resolved the issue, through setting up a “chain keeper” for the section of chain closest to the rear cog (thereby maintaining chain alignment over the cog teeth). The next 2 pics show my chain keeper in situ with the chain taut (pic 1) & chain sagging (pic 2). My keeper? : a large-sized cable tie (working great). Maybe not what Brompton would do?